Scandals, Seduction, Addiction, Adultery, Horrific Fashions—And the White House?!? 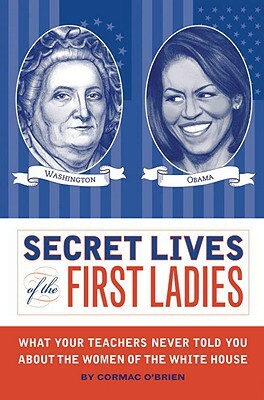 With chapters on every woman who’s ever made it to the White House, Secret Lives of the First Ladies tackles all of the tough questions that other history books are afraid to ask: How many of these women owned slaves? Which ones were cheating on their husbands? And why was Eleanor Roosevelt serving hot dogs to the King and Queen of England? American history was never this much fun in school! Cormac O’Brien is also the author of Secret Lives of the First Ladies and Secret Lives of the Civil War. He lives in New Jersey.